The ONE uses a custom app on your iPhone to control it. This is the second place where you notice the difference between the ONE and your standard phone camera. The ONE can shoot RAW, and offers a wide variety of shooting modes, including Aperture priority, Shutter priority, full Manual, and Auto ISO. It even has a unique SuperRAW mode, that combines 4 RAW images to create the ultimate in low-light image capture for a mobile device. The ONE is a no-compromise solution when it comes to image quality. It features a 20.2MP sensor that is 1-inch across – the largest you could possibly fit in an accessory. Its lens is a quick f/1.8, and the shutter can fire at up to 1/8000s – higher than most DSLRs. ISO can also be cranked up really high. I used it at ISOs up to 5000, and DxO’s PRIME noise reduction still did a remarkable job of producing a usable image. It also features very-solid build quality, and a convenient sliding lens cover that doubles as a power switch. The unique Lightning connector flips out as needed to connect to a compatible iPhone or iPad, and can be folded back in when not needed. You can rotate the camera around the connector, so it is easy to shoot high or low. One unique feature of the ONE is that you can easily use it without your iPhone. It has a nice form factor to stick in your pocket and quickly pull out for “grab shots”. 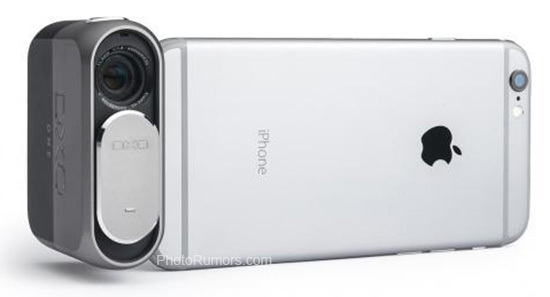 The shutter is on top, and activates the Autofocus, and captures images in Auto mode. 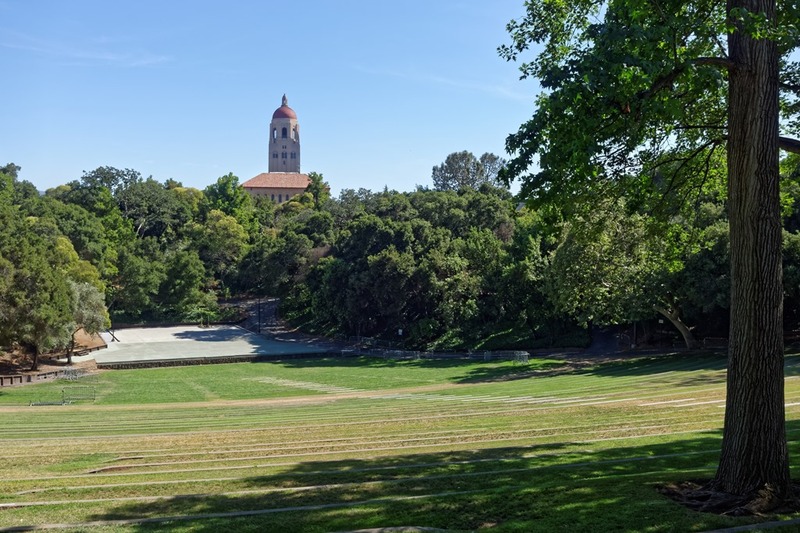 That’s actually how I captured the image below of the Stanford University Campus. The small LCD on the camera itself is touch-enabled, allowing you to switch between still images and video without needing to connect to your iPhone or iPad. The camera also includes a microSD card slot, so you can shoot away with it before needing to connect it to anything. The app allows you to either save the images just to your card or also to your iPhone directly. To fit in the small package, the ONE forgoes a zoom, opting instead for a fixed-focal-length lens that is the equivalent of about 32mm full-frame (or 22mm for an APS-C sensor). For anyone used to shooting with a smartphone the fixed lens won’t pose a problem, but it does take getting used to if you are coming over from a zoom. I’m on the plane to Africa where we’re leading a photo safari, and have a ONE with me, so I look forward to writing more about the camera when I can, starting with some shots of Johannesburg, and then hopefully of some cool critters while we’re on safari.